Friends, I am presenting this document (summary of recent work) explaining what is wrong with economics models at a conference in France (which is not fully infected with the Anglo-American disease). Please let me know if you find mistakes as I cut/pasted from *Fat Tails & Fragility*. This is a brief summary of the problems discussed in philosophical terms in The Black Swan and Antifragile with a more mathematical exposition in Fat Tails and Antifragility (2013). Most of the text was excerpted from the latter book. Note that this is not a critique of modern economic modeling from outside, but from within, using mathematics to put the methods claimed under scrutiny. The message is simple: focus on measurable robustness to model error and convex heuristics, instead of relying on “scientific” measurements and models. For these measurements tend to cause blowups. And we can measure fragility, not quite statistical risks. Post by Nassim Nicholas Taleb. Much has been written about what the paradoxical Taleb doesn’t like. So what does he enjoy? “Aah,” he says, pondering while getting into position for our photographer, whose south London accent he admires, and wishes he had had while trading options: “Walking, anywhere, around cities or the country, running (in five-finger shoes), sitting in cafés listening to chatter, parties, working in my study in the New York suburbs, listening to the birds, to the noises of the countryside, the mathematics of Steve Wolfram, Andalucian music, philology and the history of the Mediterranean and now the Maghreb. That’s my new obsession.” Watch out. There are serious differences between predictions, bets, and exposures that have a yes/no type of payoff, the “binaries”, and those that have varying payoffs, which we call the “vanilla”. Real world exposures tend to belong to the vanilla category, and are poorly captured by binaries. Vanilla exposures are sensitive to Black Swan effects, model errors, and prediction problems, while the binaries are largely immune to them. The binaries are mathematically tractable, while the vanilla are much less so. Hedging vanilla exposures with binary bets can be disastrous–and because of the human tendency to engage in attribute substitution when confronted by difficult questions, decision-makers and researchers often confuse the vanilla for the binary. New paper with Phil Tetlock on the difference between the Thalesian and the Aristotelian: On the Difference between Binary Prediction and True Exposure, With Implications For Forecasting Tournaments and Prediction Markets. We made huge gains in cancer research when 1) we had no understanding of the biological process, 2) research was undirected (nonteleological), as we were looking for cures for something other than cancer, or stumbled on results we weren’t looking for. Chemo was born from mustard gas, etc. 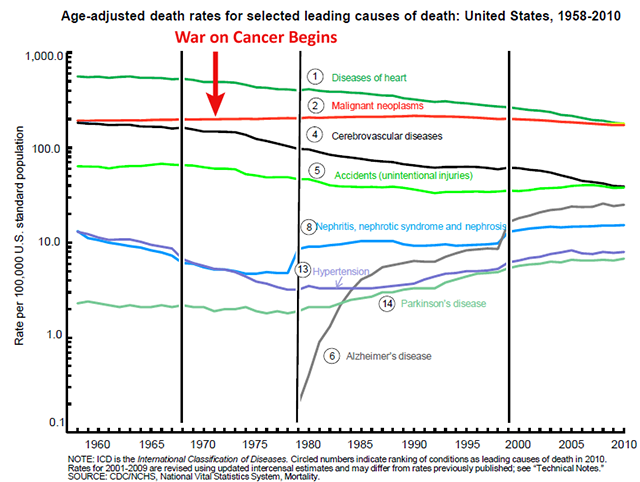 Now since we’ve started targeting cancer in 1973, the results are … Could be that we had gotten the low hanging fruits; could be that modern life is cancer-causing… an alternative explanation that is even more scary. My point is that knowledge, direction, aiming, strategic planning reduce convex tinkering. 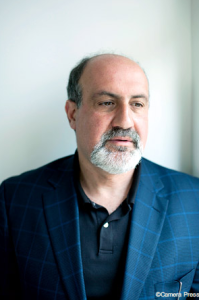 Nassim Nicholas Taleb, 53, is distinguished professor of risk engineering at New York University’s Polytechnic Institute. Following a career in finance, he is now the best-selling author of books that include The Black Swan and Antifragile .